Aeronautix is pleased to have been contracted as the certification agent for B&C Specialty Products of Newton Kansas on their BC400-2 Alternator AML STC expansion. B&C Specialty Products has a great reputation for supplying reliable, lightweight, and rugged electrical system components to the aviation industry and Aeronautix will help them expand their current BC400-2 alternator STC to incorporate 31 additional aircraft models. The BC400-2 is an STC/PMA 40 amp alternator system that is currently approved on 21 models of the Piper PA-18 & 19 aircraft family. The first phase of the AML expansion will increase this model list to include various models of the Piper short wing family such as the PA-12, 14, 16, 20, and 22. Additional phases of the project will later include models from Champion/Bellanca, Aviat, and Cessna. If you’re in the market for new electrical system components give B&C a call and see what they can offer for your specific system set-up! 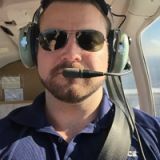 Jonathan has been with Aeronautix for almost 3 years, but has been extremely passionate about aviation his entire life. Jonathan received his Master’s in Mechanical and Aerospace Engineering degree from the University of Missouri, Columbia. Concurrently, he also earned his private pilot certificate in 2010. After graduating MU, Jonathan went into the product design field where he further developed his knowledge in engineering design, materials, testing, and heavy manufacturing. While working in design, Jonathan obtained his Professional Engineering License through the state of Missouri. Shortly thereafter, Jonathan joined Aeronautix in 2015 as an engineer, and supports certification programs, PMA and new product development. In 2017 Jonathan took on the additional role as quality manager and oversees the Aeronautix PMA program in support of Aeronautix new products. Check out the Our Projects page to see examples of our past work.